Eat your lunch! 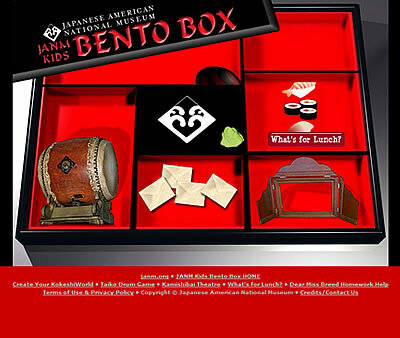 Our Bento (Lunch) Box metaphor works perfectly for JANM Kids, a fun introduction to Japanese-American culture and history. 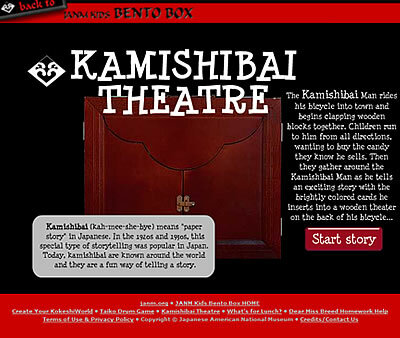 The site is a mix of Flash activities and games, and informational HTML pages.